Shopify Plus is a SaaS ecommerce platform used by retailers as diverse as Gymshark and Irene Neuwirth. With 600,000 clients and counting, it’s an attractive alternative to more established platforms thanks to its scalability, low cost-of-ownership, and easy integrations. Here we sit down with Inviqa’s ecommerce platform expert, Paal Soberg, to explore everything you need to know about Shopify Plus. What are Shopify Plus’s biggest selling points? No need to worry about hosting. Shopify Plus is a cloud-based software-as-a-service (SaaS) platform, meaning that you don’t have to manage the hosting yourself. Low maintenance. The ecommerce platform requires comparatively little support and maintenance. And for anything you do need, you’ll have an account manager and 24/7 support team who can cover minor development work. Low barrier to entry. Implementing an online shop with Shopify Plus is fast, easy, pain-free, and requires fewer skillsets than you’d need with other platforms (no need for backend development, for example). Competitive pricing. At $2K per month (plus transaction fees), the SaaS platform is competitively priced, with a lower total cost of ownership thanks to what you save in areas such as hosting, maintenance costs, version upgrades, agency retainers, and so on. Easy integrations. Shopify Plus has a rich app ecosystem for third-party integrations plus comprehensive documentation for developers. Is Shopify Plus suitable for your retail business? Shopify Plus is ideal for leaner B2C ecommerce teams looking to free up more time to spend on the likes of marketing, rather than spending it on technical development and site maintenance. It can be a fast, easy, and cost-effective choice for a bricks-and-mortar retailer launching an online business. And also for teams looking to test a hypothesis, build a prototype, or develop a business case – for example, a new model or online business you want to road-test and validate ahead of doing the ‘real’ thing and integrating it into your main offering. The platform also provides merchants with a simple way to enter the wholesale ecommerce market and sell to high-volume customers through a self-service experience. Shopify Plus doesn’t bear the hefty price tag of other ecommerce platforms and pricing is tailored depending on your requirements. A small retailer launching their first online shop with the platform will typically pay around $2,000 per month plus transaction fees once the site is live. Every ecommerce platform has its limitations and Shopify Plus is no exception to the rule. Something that’s a good or a bad thing, depending on the needs of your organisation, is that you can't customise the core product, which is owned and maintained by Shopify itself. This is great from a security point of view, reduces total cost of ownership, and minimises the site support you need. But ultimately you don’t have platform control and can’t access the codebase or database behind your online shop. Shopify Plus doesn’t offer as many features out-of-the-box as the likes of Salesforce Commerce Cloud or BigCommerce, so some fairly standard features can only be added with a plug-in (app). As an example it’s difficult to customise filters using what’s provided out-of-the-box, and the styling you can do on the standard checkout is fairly limited. And while there’s a rich app ecosystem available, the accumulative cost of adding lots of different apps can be expensive. How does Shopify Plus compare with Magento? Hosting: Shopify is fully hosted, so the retailer is essentially freed from the management of PCI compliance. A retailer using a non-cloud-based version of Magento, however, would need to be sure that their server configurations meet compliance regulation. Security & encryption: Shopify Plus clients don’t have to worry about server security, unlike Magento Commerce clients who also need to manage patches to the core codebase. Your Shopify Plus store is fully encrypted across the site using SSL. Pricing: There's a lower cost of ownership with Shopify Plus since it requires lower support / maintenance costs, BAU development, and hosting fees. Core functionality: Magento has a far richer core feature set than Shopify Plus. Shopify Plus has comprehensive functionality suitable for many mid-level retailers, but Magento offers far more by way of promotions, multi-store management, complex merchandising requirements, internationalisation, B2B functionality etc. Account management: Shopify Plus users get 24/7 account management as part of their monthly license fee. Developers are a requirement for frontend development and any complex development, but there are lower overheads and agency fees than you’d see with a Magento site. Platform control: Magento offers more control since Shopify Plus users can’t access the codebase or database behind their online shop. This means things like security patches and ensuring the codebase is up-to-date are not a concern, but it does means a loss of control over the platform. Community: There’s a real community around Magento, including a vast and growing pool of Magento modules and integrations. This isn’t so much the case with Shopify because Shopify developers aren't really having to contend with anywhere near the level of complexity they’d deal with on a Magento project. For further reading on this topic check-out this really useful post on how Shopify Plus compares with Magento 2 from experienced ecommerce consultant Paul Rogers. How does Shopify Plus compare with Salesforce Commerce Cloud? Like Shopify Plus, Salesforce Commerce Cloud is a cloud-based SaaS solution with many of the same advantages, from seamless upgrades to scalability and access to best-of-breed features without having to manage a technical roadmap. Both platforms are highly scalable, cost-effective, and continually evolving and refining their features (so that you don’t have to). Shopify Plus is even more competitive on price but is slightly more limited when it comes to out-of-the-box features and customisation and doesn’t offer the full suite of cloud-based CRM and marketing services available with Salesforce Commerce Cloud. What are the key considerations for a retailer moving to Shopify Plus? Catalogue management is handled very differently in Shopify Plus compared with a platform like Magento, and so can cause a lot of complexity. 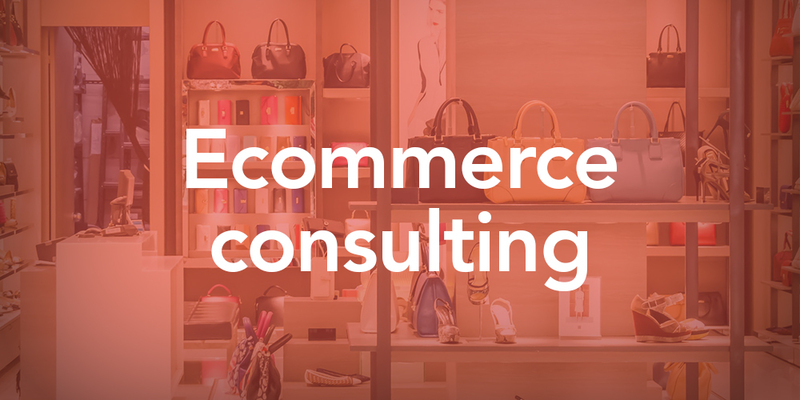 This is also the case with multi-store / international commerce, which again is handled very differently compared with platforms such as Magento and Salesforce Commerce Cloud. Having a large number of stores can add some overheads in terms of management unless you have product information management (PIM) and order management (OMS) systems already in place to ensure orders and products are easily managed. On the flip side, if you have a small team and little time and resource to keep an ecommerce site ticking over, Shopify Plus is ideal. It requires little work to keep it going, can help you become more agile, and lets you do more without development resources.